Today’s technology makes it possible to literally freeze fat cells and permanently remove fat – all without surgery. This option certainly sounds good to anyone who has had to deal with that extra roll of fat that just won’t budge or go away. The concept of freezing away fat was originally formulated by researchers at Massachusetts General Hospital at the Wellman Center for Photomedicine. The facility is an affiliate of the Harvard Medical School. CoolSculpting has been designed to safely deliver controlled cooling by targeting the fat cells beneath the skin. When the process is used, the cells become crystallized and ultimately die. Over time, the body naturally eliminates the dead fat cells and, “voila!” produces a new, slimmer you. The CoolSculpting method, which has been cleared by the Food and Drug Administration (FDA), contours the body effectively without surgical downtime. Therefore, you can sit back and relax while saying a good-bye once and for all to any stubborn rolls or fat. After you consult with the physician about the areas that need treatment, the CoolSculpting device will be positioned over the area. At that time, controlled cooling is applied. During the process, you are free to – check your email, snooze or read a book or your Kindle or Nook. 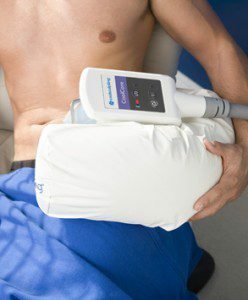 The CoolSculpting method of freezing fat can get rid of fat on more than one area of the body. Additional sessions may also be needed to enhance the results. Each client receives an individualized treatment plan that is created for his specific fat-reducing needs. Because this fat-freezing method is entirely non-surgical, you can return to your daily activities after each appointment without hospital bed recovery. After several weeks or months, you will start liking what you see when you look in the mirror. CoolSculpting makes it possible for you to get rid of the fat you never thought was possible to eliminate. While you will feel cold during the process, you won’t feel any pain. 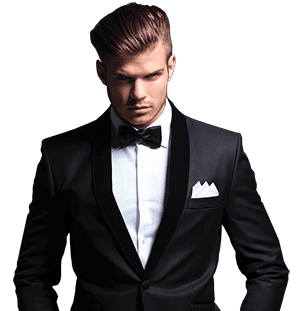 Plus, if you are a guy who wants to enhance his physique, you can use this process and still stay under the radar about the therapy. You don’t have to worry about any downtime when this fat-loss process is used. The results are not apparent immediately because the body needs to take some time to reabsorb the cells that have been annihilated during the process. It takes about four months for patients to note a real change. Once those stubborn fat cells are gone, they are really gone. However, that does not mean the weight won’t return if you don’t’ continue to exercise or eat nutritional low-calorie foods. Therefore, CoolSculpting is an excellent process to consider if you have been dieting but are having trouble getting rid of that fat that does not burn off during the weight loss process. When combined with sensible eating and exercise, CoolSculpting is an ideal solution for anybody wanting to make a distinct improvement in how he looks and feels.